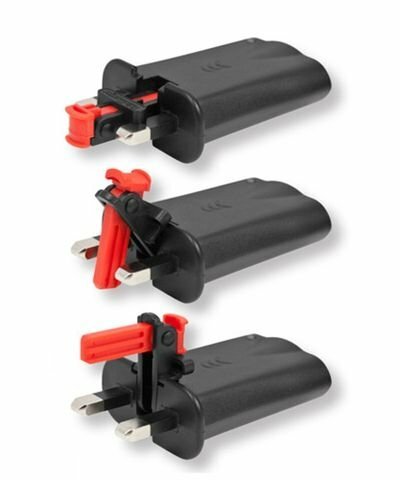 At last the UK consumer has not one, but two, new alternative products that will replace the bulky 3 pin UK plug and will compliment today’s portable electronic culture by finally having easily portable BS 1363 approved plugs and chargers with an equivalent safety. Input: AC100-240V / 50-60HZ / 100mA. Output: 5.0 VDC / 2100mA. Insulation strength: 3000VAC/10mA for 1 minute. Insulation resistance: Input to output = 50MO with 1 minute, 500VDC. Product size: 79.1x48x23.2 mm.The newest generation foldable USB ThinCharger: the UK’s first ever fold-flat USB charger without moving live pins.